What is the red dinosaur with a crest that appeared after the raptors? It resembles a raptor so much. Is it a gualong? I think Guanlong is possible but I have no idea to be honest. "Behold the horror that lurks behind the veil of glimmering starlight!" Updated the first post to include the new dinosaurs. For the carnivore whose identity cannot be confirmed just yet, I put it as "Possibly Guanlong" since its the prevailing candidate. Also, I'd just like to say that Ceratosaurus looks incredible. The mystery red theropod has been confirmed to be Deinonychus. Can you give a source on that? Edit: Here’s a screenshot of the tweet as well, in case the link doesn’t work. Huh, I never would have guessed it. Well I guess that's that mystery solved. I love the new image of deinonychus with crest. Why I never thought about it? The Ceratosaurus looks amazing, just saying. Always thought it was an underappreciated dinosaur in the community. Glad it's getting some of the spotlight here! It's a Deinonychus. Yeah, I'm very confused on this one. Deinonychus? The heck? Aren't the raptors in Jurassic Park actually Deinonychus anyway? I hope Nick Rogers is pulling our leg or made a mistake, because that ain't a Deinonychus. What kinda DNA are they pumping into this fella? Then again, I may just need to get used to it, but this fella looks quite strange right now, IMO. 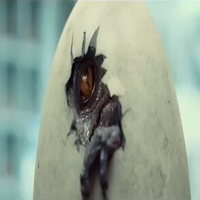 A lot of people are speculating that we'll be able to make our own hybrids, which this "Deinonychus" apparently is. This is JP. Inaccuracies are always going to happen. Look at the Dilophosaurus. Ir is just the use of imagination from the developers and conceptual artists who created the game. To be honest, if the dinosaurs were just always accurate in this game, it will loose the essence of jurassic park / world atmosphere. Dilophosaurus is gorgeous as it is in jurassic park, even though is a fictional representation. 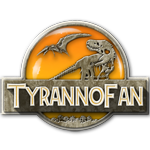 I am agree with TyrannoFan about deinonychus representation in the game. It is unusual and odd, but gorgeous. Maybe that Deinonychus is a male (preferably sterile) with a comb like roasters have to identify the genders better. That or it has roaster DNA which gave it the comb. Just a pair of guesses on my part. That's possible I suppose, but I think it's more like an Oviraptors crest, which we would have fossil evidence for (unless every Deinonychus fossil we've found is female. Unlikely). I think it's more than likely a mutation/hybrid of some kind. Maybe Deinonychus is just the base genome? That would actually be incredibly cool. Do you think we can create own skins? If so I hope is more easy than jpog and the isle. Yeah but there was that Jurassic Park Podcast interview where the developer hinted that there would be no males, or at least he said no breeding. Always nice getting some new footage about JWE, even if just a little. That Ceratosaurus looks like it was taken straight out of JP///. Fantastic work there. Now, one thing that I'd like to be announced, or mentioned, is that sexual dimorphism will be something that's going to be included. I'm not sure the difference(s) between a male and female Carnotaurus, but I'd imagine that the male would have the more ornamented head/facial features (the horns) like the one seen in the FK trailer... if that was a male. As of Jurassic World, I think that all of the animals in the park were female... ??? That's kinda up in the air I think. If the dinosaurs were made the same way as back in 1993, then it'd be almost impossible not to have males. Then again, Henry may have caught on to that mistake, in which case it may be impossible for there to be any males on Nublar. Megalosaurus needs included due to it being the first dinosaur named by science. It would also make me incredibly happy as it is one of my favorite dinosaurs all around. 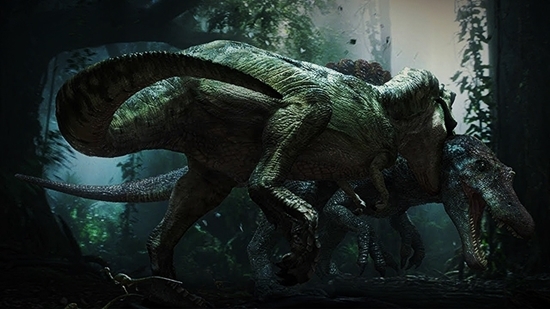 With the recent release of the IGN trailer, how good are the odds that JWE would allow the player to create accurate dinosaurs? Because by the looks of things, the odds are surprisingly good. The Edmontosaurus model reflects recent studies that it had a fleshy crest/comb on its head, and the Deinonychus (with its crest and 1960s skull design) appears to hint that customisation with the genes is likely. Further support for this can be seen with the InGen Database menu Frontier Developments showcased in their expo back in October, with a sub-section called “Genes”. There’s been a potentially huge leak for Jurassic World Evolution on 4chan regarding certain animals that are in the game, skins, how the three paths work etc. There’s what? If this info can be run through the security systems, what does it say? 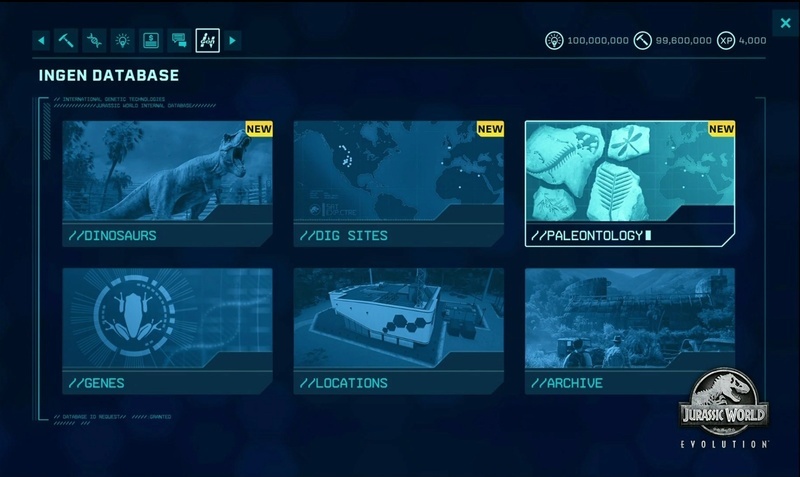 I’ll send you and anyone else who wants to know the information through a PM, I’m not sure if JW Evolution leaks count as the same as Fallen Kingdom leaks. I'm taking these "leaks" with a huge grain of salt. They are rather moderate, so that lends them at least some credence, but 4chan has a long history of fake leaks so I tend not to believe anything that comes from there unless later official information lines up with what was said. As for whether or not the leaks can be directly posted in here or not, I say its best we stay on the safe side and adhere to the general JWFK leak rule for JWE as well. Frontier has released the following video of a "Species Profile" for Triceratops. Nothing new is revealed in this trailer, but as this is likely to be one entry in a series of videos showcasing the dinosaurs of this game, I'd expect future ones to reveal more species in the game.